Winfrey's Fudge & Chocolates began in the basement of our home in 1979. Stuart & Christine Winfrey stirred batches of fudge in a copper kettle over an open flame gas stove. Soon we expanded our production to a larger kitchen; we bought a paper tape cutter and had Mod-Pac print our boxes (we could finally make the minimum order of boxes with them). Ten years later we purchased our own building in Rowley, MA in 1990.Today we still manufacture our fudge in copper kettles stirred over open flame gas stoves only our children have taken the leadership. Scott, Mark and Jillian continue to use only the finest ingredients when making the Winfrey family secret recipes. 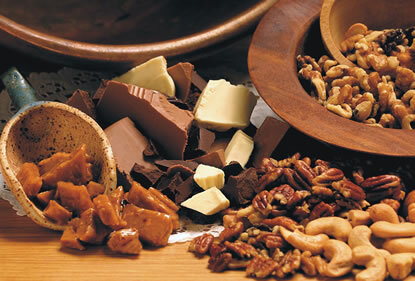 Our confections are skillfully blended to produce New England's best confections available for wholesale.